Thanks to the “Top grade” polymer It can be lubricated purely with water. Easy to use. Removes embedded grains of metal, tree sap, airborne environmental deposits and paint overspray for “new” look. 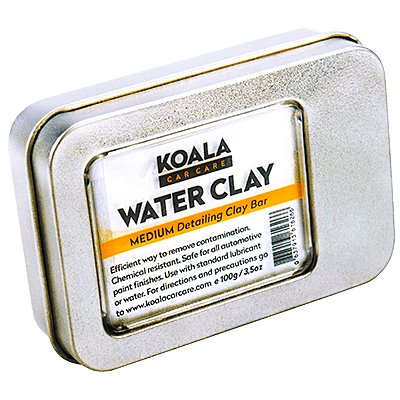 WHY YOU SHOULD USE THE KOALA CLAY BAR MEDIUM? It can be lubricated purely with water. 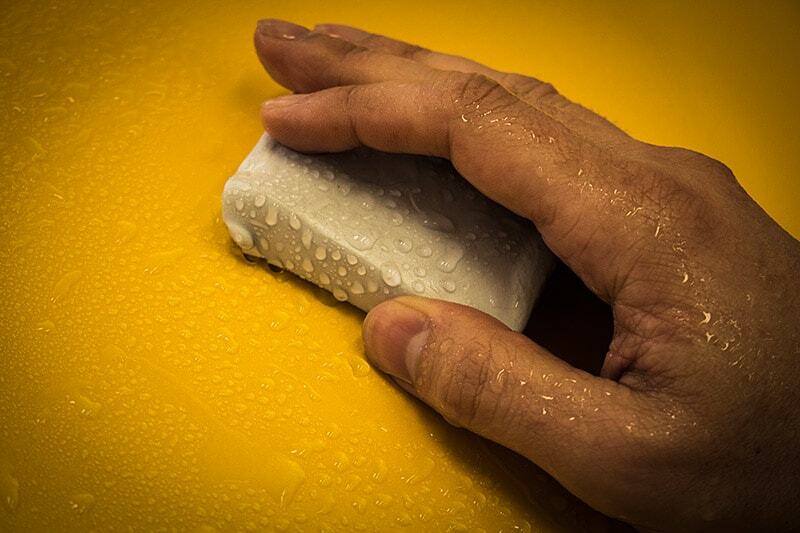 It can be used with lubricant, water, ferric decontaminators or wheelrim cleaner. We suggest to use for heavy or medium of pollution. 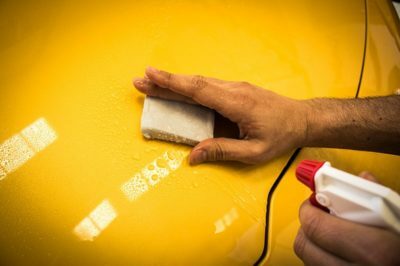 It can be apply on dark surfaces and also soft paints. 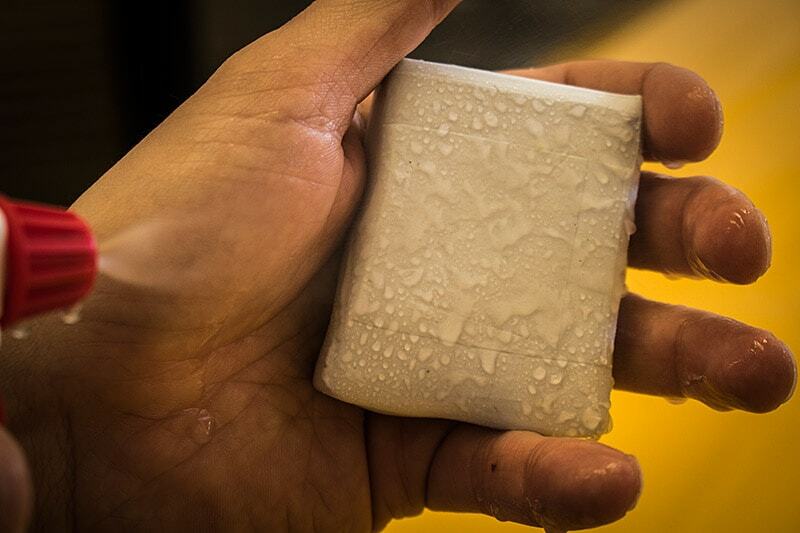 Provides an extreme smoothness, without sacrificing the ability to eliminate contaminants. 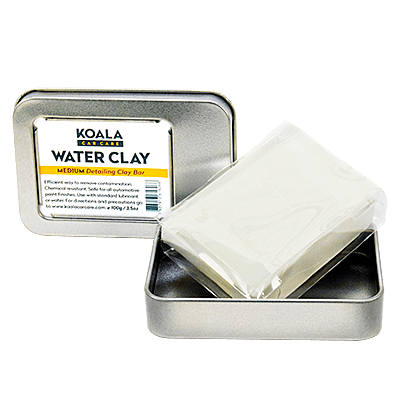 The Koala Water Clay comes with its metal box to keep it safe after use. It can be split up into several portions, so it cares for a long time. Spray the area with lubricant or water. 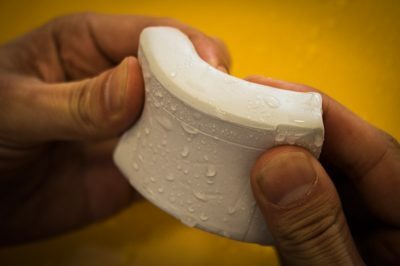 Mould a piece of Koala Medium Water Clay. With one hand, slide smoothly the Clay without pressure, through the lubricated area in longitudinal movements. When we feel that the bar slides witout any problems, the work will be ready. 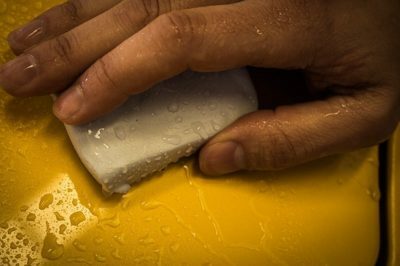 We can dry the surface with a microfiber towel. 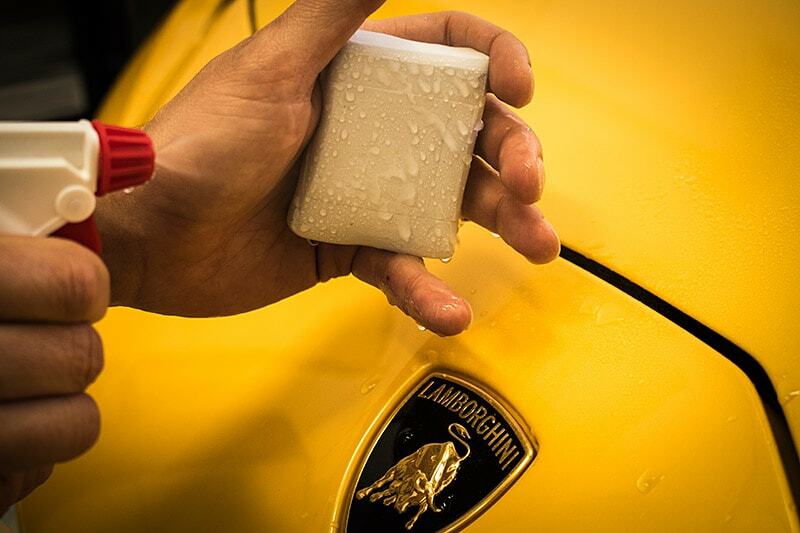 It is recommended to wash and re-dry the vehicle, to remove possible residues of lubricant, or the chemical used. find out where you can purchase our products. © 2018 Koala Car Care · All rights reserved.